Katie Puckrik Smells: Juliette Has A Gun Winners! 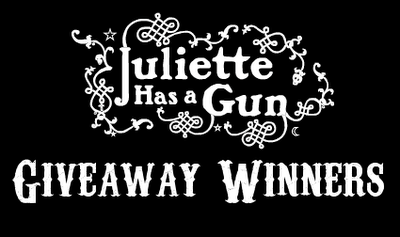 Juliette Has A Gun Winners! Congratulations to all the winners! Thanks to LuckyScent.com for supplying the goodies. Please personal message your mailing address to me at my YouTube channel. Stay tuned for more KP Smells blog and YouTube giveaways coming up,including the 10 bottle Summer Scent Event! I can smell you all from here, and you're gorgeous...collectively! aww too bad I didn't win, ah well. Congrats to the winners!